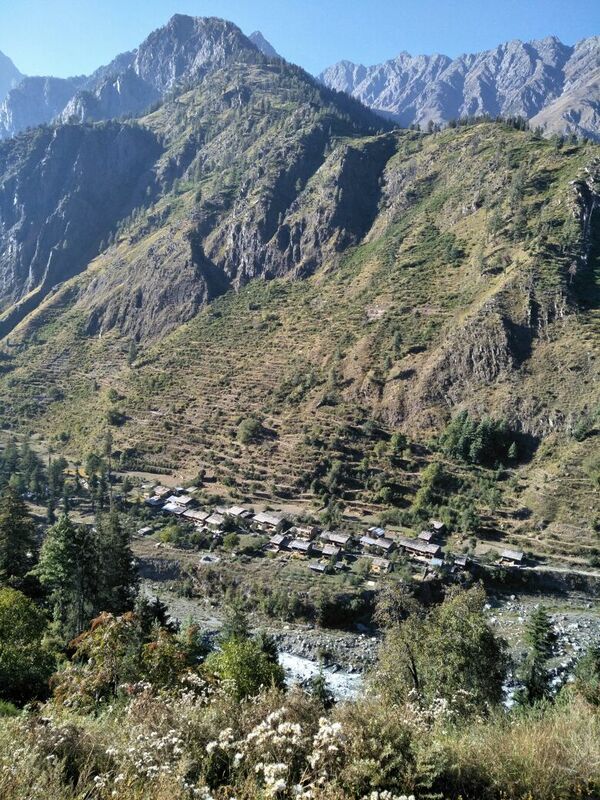 The trek to the remote village of Bara Bangal starts or ends in Manali. This trek takes you over a glacier and over Kali Hani Pass which has very impressive views to a remote village four days from the rest of civilization. Visiting the village is like going back in time. 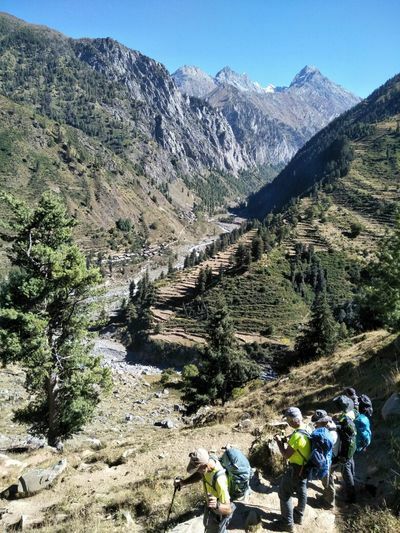 After leaving the Bara Bhangal village the trek takes you back out into the wilderness for another four days and you cross another glacier and pass. The absolutely marvelous views last all the way back to civilization! 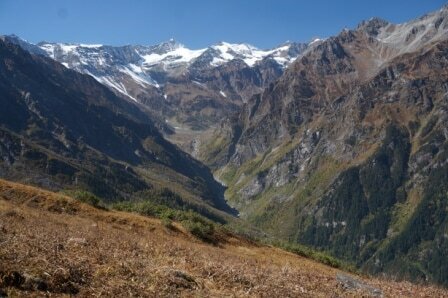 This trek is at a lower elevation than those in the Ladakah area so it is a bit easier altitude wise but still requires some acclimatization. It has a character all it’s own. Not to be missed! Start the trek at Bir 1,450m (4,757 ft) and continue up to Billing 2,200m (7,218 ft), the site of the 2015 Paragliding World Cup. Gradually ascend through a rhododendron, oak and spruce forest. 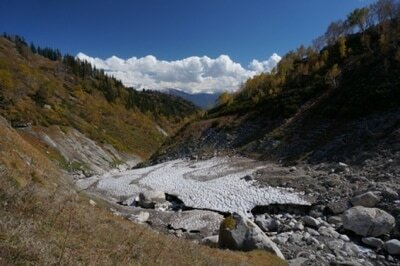 Continue up along a valley crossing a series of permanent snow bridges. Cross high meadows with carpets of wildflowers where the local shepherds camp on their way to the higher pastures. Climbing up toward the Thampsar Pass enjoy the serenity of a large glacial lake at 4,370m (14,337 ft). 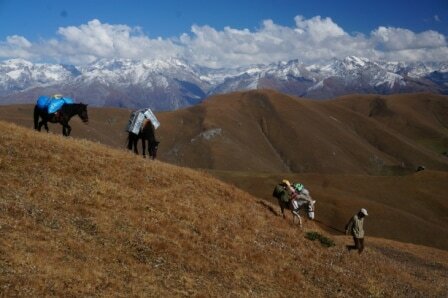 Continue up to Thampsar Pass 4,530m (14,862 ft). The Pir Panjal Range is to the north and the views to the both the north and the south are beautiful! Begin the descent from the pass crossing a large glacier and continue down to a glacial lake at the base of the pass (4,380m). Continue down to another glacial lake at 4,100m (13,451 ft). 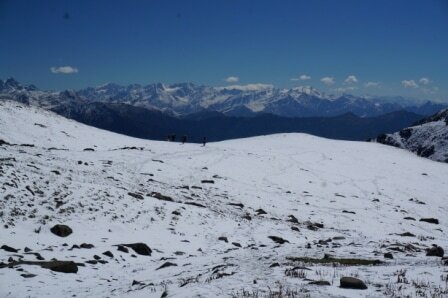 Camp at Thamsar, meadows that have a spectacular view of Mani Mahesh Kailash and the Pir Panjal Range. Continue down past an impressive waterfall to the village of Bara Bangal at 2,350m (7,709 ft). 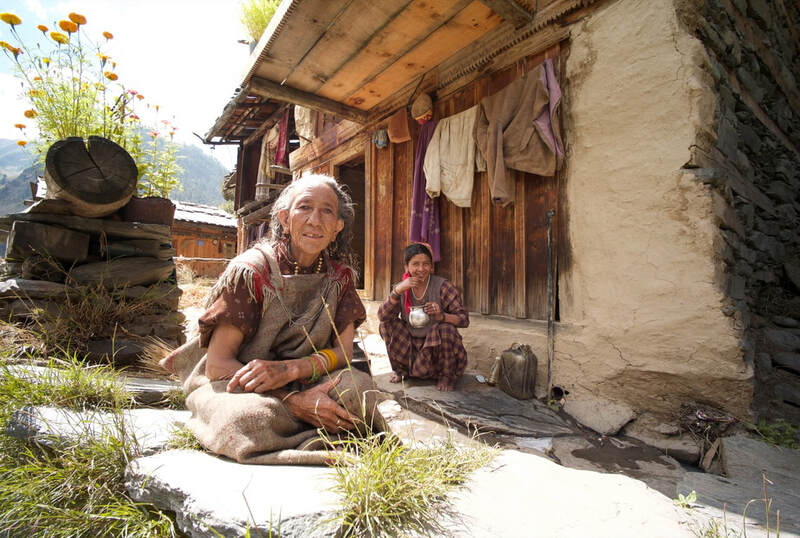 The village is cut off from the rest of the world for about six months every year. The villagers are really friendly. 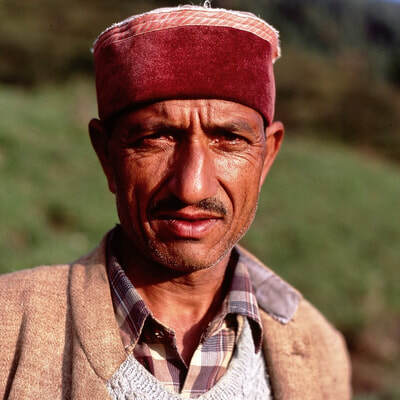 Travel back in time as you see their way of life and farming. 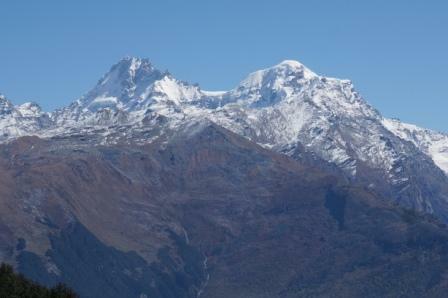 Continue on with a gradual ascent with magnificent views of snow capped peaks and hanging glaciers to the Damari Thach meadow at 3,550m (11,647 ft). 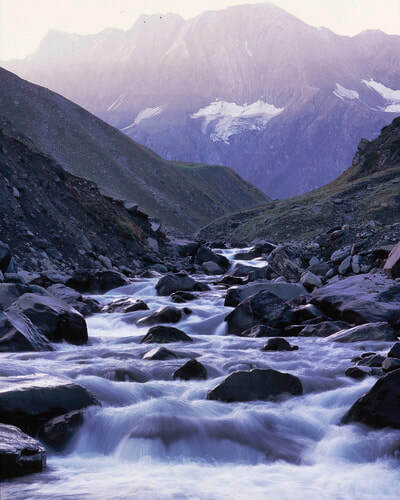 Pass through areas covered with birch and blue pine trees and follow the course of the river through areas of boulders and scree. 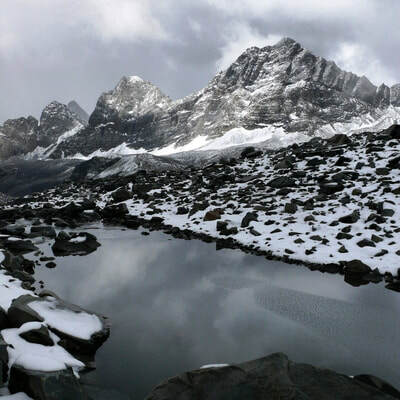 Again pass several glacial lakes 4,350m (14,272 ft) and continue up across a snowfield and glacier to the Kali Hind Pass 4,610m (15,125 ft). The views are again magnificent! 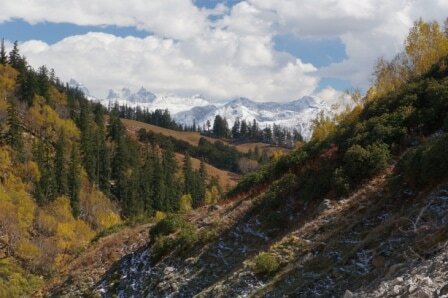 There are the snowfields and hanging glaciers of the Bara Bangal Range and also impressive views of the Mani Majesh Range. Descend to cross a small river and then gradually ascend to Reili 3,320m (10,892 ft) another meadow that is a stop on the local shepherd’s circuit. 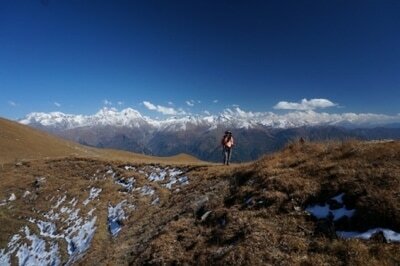 Ascend to the top of a ridge at 3,800m. Again the view is beautiful! There are wonderful views of Deo Tibba - 6,100m (20,013 ft) and Indrasan - 6,220m (20,407 ft) the two highest peaks in the area. And from the ridge there is almost a 360 degree view of nothing but mountain ranges! Descend to Lama Dug for the final night’s camp and enjoy dinner around a camp fire! Descend to the hill town of Manali 2,950m (9,678 ft) and after a shower head out for lunch, and, if you are so inclined, souvenir shopping among the local hand loom shops.